Are you trying to sell your car and get the most for it in San Diego? If you are, then you have found yourself the best service to help you sell a car in all of San Diego. SellMax wants to buy your car from you! And the best part? We will give you the MOST cash for your vehicle. We always do our best to offer the highest prices in the area and we are easy to work with. That means no hassle for you and of course, there is no obligation to sell your vehicle either. What are you waiting for? Get cash for your car instantly by calling our company. SellMax is ready to purchase your vehicle, no matter the shape or condition. We purchase junk cars, clunkers, and damaged vehicles. We provide you with great car removal services in San Diego, CA. Whether you're looking for a junk yard, a junk car buyer, or a salvage yard SellMax can help. We know that selling your vehicle can be a difficult process, but it does not have to be and that is why SellMax in San Diego is committed to making sure that the process is easy and straightforward. We work with customers from across San Diego county to help them make it easy to sell a car. Whether it be a Honda Civic, Toyota Camry, Ford Taurus, Ford F-150, Dodge Truck or any other vehicle we can help. We even offer free junk car removal, if your car is currently not in running condition. Sometimes, we find that customers are worried about how they will get their vehicle to us. Have no worry! In San Diego, we will come to your home or desired location and pick the vehicle up for FREE. Plus, we will pay you for your damaged, dented, dinged or run down vehicle. Yes, we offer pickup FREE! You never have to pay for a taxi or tow, and you can remain indoors for the entire transaction. 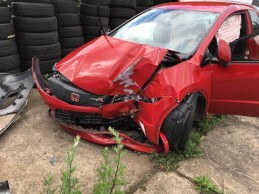 It really has never been so easy to sell a nice, junk, damaged, or broken-down automobile. Want to learn more about who SellMax is and the process of selling your vehicle in San Diego, CA? Okay, let’s take a look at how you can sell your car for cash. Call us or email us. 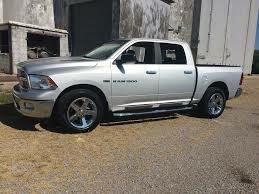 We will need you to contact us to give us some information about the car, truck, van, or SUV you are intending to sell. We will ask you some things such as the year, make, model, mileage and the overall condition of the vehicle. For instance, we will need to know if your automobile has been involved in any major accidents in the past. In addition, things like the condition of the transmission, and whether or not the car is currently running well will play a role in determining the final price for the car. Next, we will schedule an appointment and send out one of our local San Diego car buying agents to come and checkout the vehicle. After confirming the overall condition of the car, you will be paid in cash. Our buyer will fill out all of the necessary paperwork to transfer the vehicle out of your name, and officially sell your car to our company. We will tow or drive your vehicle away depending on the condition. As you can see selling your car to our company is surprisingly easy. We've gotten very good at purchasing cars from our years of experience. And we will even be able to come to your home or office. For instance, we've met some clients in San Diego at Petco Park, the San Diego convention center, and near qualcomm in San Diego. We've also purchased many vehicles from areas in San Diego county like La Mesa, La Jolla, Chula Vista, Serra Mesa, downtown San Diego and various other locations. These zip codes include 91909, 91977, 92115, 92116, 92117, 92118, 91941, 91942 plus more. The SellMax Car buyers are the answer to your car selling problems. We are the solution. Our company was first started in the early 90’s and we were on a simple mission and that was to help people sell their cars and receive the best, fair price for them. 1. List an advertisement in the local newspaper and hope that someone would call you and purchase your vehicle. Which will result in a lot of waiting. 2. You could take your vehicle, or truck to the local new car dealership and find out how much they offer you for your car, or trade in. Tom and Tony, the original car buyers and founders of the business SellMax were not happy with the two options available, especially since one meant that you may receive next to nothing for your car. There had to be a different way to sell your vehicle and it wasn’t until Tom and Tony came up with the SellMax car buying model did the entire vehicle selling industry change. SellMax Cash For Cars transformed the industry by being San Diego's first company to offer free junk car removal. SellMax has created a simple buy-all-cars policy that is still enacted today. This policy helped to open doors for all consumers who wanted to sell their cars. SellMax continues to be able to provide reasonable and fair prices for cars in San Diego. SellMax wants you to know that we purchase ANY and ALL vehicles, no matter their condition. This means that we will take your crashed car or vehicle that no longer starts. Or, if you've got a nice, new car you are looking to unload we'll buy that too. Below, you will see the process to quickly sell your vehicle to us. The entire car selling process has been simplified to help make the entire transaction easy and convenient. The whole process can be completed in just four steps! 1. 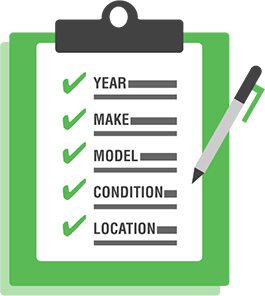 You go to our website and then enter in information about your vehicle to include the model, year, location, and condition of the vehicle. 2. We will provide you with an instant and fair quote for your car. And, if your car does not run we will handle the towing of the car, truck, van or SUV. 3. Once you have chosen to accept the presented quote, we will schedule you in for one of our friendly car buyers will come out to your home or location. They will arrive FREE of charge. 4. Our team member will then conduct a quick inspection of the vehicle and present you with paperwork to be signed. Once completed, we will take your vehicle and hand you cash on the spot for your car. We are professional car appraisers and buying vehicles is simply our business. When you decide to work with the team at SellMax, you will enjoy the ease of the process. 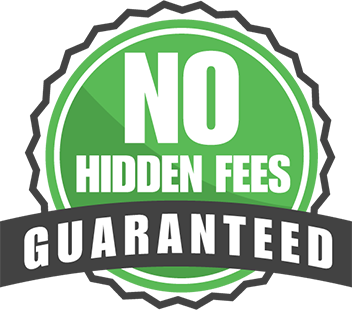 In addition, we offer a NO HIDDEN FEES GUARANTEED policy, which means that you will never pay any surprise or hidden costs for any of our auto buying services. The amount you see is the amount you get with no strings attached. Plus, even if we can't buy your car from you, we still have deep connections in the car buying industry. We can refer you to one of our local partners in San Diego who will be able to buy the car from you. We’re here to turn your vehicle into a large stack of cash instantly! Tired of waiting to sell your car? Contact us today. What makes A Vehicle Junk? Answer: A Vehicle becomes junk when the price to repair the vehicle is worth more than the value of the car. In that sense, if the resale price of your vehicle is more than what a mechanic quotes you to repair it. It is safe to assume that your car may be junk. Please call us or request a quote to obtain more information from one of our specialists. What type of paperwork will I need when I sell my car to your company in San Diego? Answer: In San Diego, California you will need proof that vehicle belongs to you. The best proof of this is having the vehicle title. But, in California if your vehicle is registered in your name, we have ways in which we can assist you if you're missing your title. If you wish to learn more about the paperwork required when selling a car feel free to browse the local dmv website. We're here to help you make a deal the same day you call. Additionally, if you need free car towing, we can supply that free of charge. 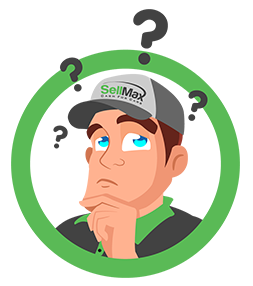 So, if you've been thinking to yourself "How Can I Sell My Car" you might want think about calling SellMax. We've got tons of experience buying and selling vehicles. This is beneficial to you because our team will do our very best to get you great value for your car. Another great aspect is we are local in San Diego, CA our company was founded in this great city. Plus, we'll even come to you to pick up your car. We service all of San Diego including areas like Mission Valley, Pacific Beach, Ocean Beach, Miramar, Mira Mesa, Point Loma, Rancho San Diego, Rancho Santa Fe, San Ysidro, Scripps Ranch. Also, just in case you've been wondering we do buy trucks, vans, and SUVS in addition to cars. How Much Money can I get for my car in San Diego? 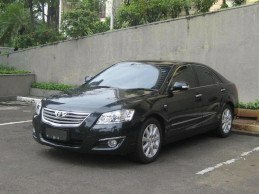 A typical car that we purchase falls between the value of $100.00 up to $15,000 dollars. But, we purchase cars up to $50,000. The price that you will obtain depends highly on the year, make, model and the condition of the vehicle. We make quick offers so don't hesitate to give us a call and get a price quote. If you are ready to get rid of your vehicle for top dollar, don’t hesitate to call the SellMax Cash For Cars team today at (619) 268-6333. Working with us is not only easy, but we offer the best customer service and the highest prices for all vehicles in the San Diego area. Stop wasting time and let us pay you for your vehicle today! We make free offers on cars. Stop asking yourself "How can I Sell My Car". Instead, let's make a deal today!